Not quite Japanese, but I was surprised this story slipped by me during the Beijing Olympics. When you think of hip-hop dance, I’m sure you usually think of a much younger generation not only enjoying it, but taking part in it. That isn’t the case for China’s 70 year old Wu Ying. She is the leader of a dance troupe known as the Hip-Hop Granies. The competitors were all young people, wearing headscarves, headdresses, hats, and various clothes. I thought that was very fresh. 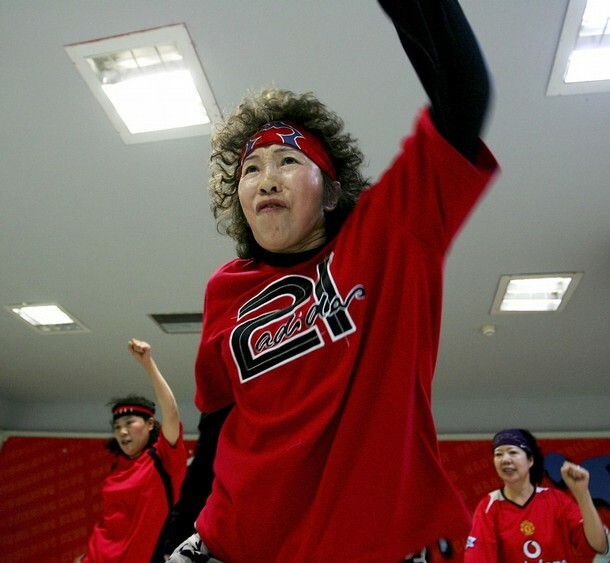 Inspired by their movements, she thought that hip-hop dancing would be perfect for not only keeping herself in shape, but for China’s elderly as a whole. She began learning at local gym by any means she could. Soon she wanted to find others who would be interested in starting a dance troupe. Obviously, she was met with resistance, however it did not persuade her for realizing her dream. 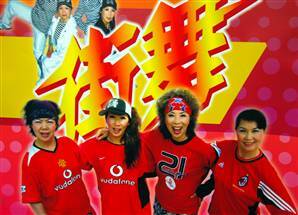 She soon found another 4 women, and after 6 months of training and rehearsals, the Hip-Hop grannies made thier debut at the Beijing qualifier for the National Hip-Hop Dancing Competition. At the time, the Hip-Hop Grannie’s average age was 60. However it did not stop them from placing 3rd at the qualifier. It was then when China knew the Hip-Hop Grannies was here to stay. Since then, they have attracted at least 1,000 different women. Currently their oldest member is 74 years old. Many of the members see hip-hop dancing as more than just great exercise. Mentally, it allows them to see their age not just as a handicap. Wen Di, 55, retired last year and she wanted to fill an emptiness in her life. She says that Wu’s dancing on TV was very inspiring. It is indeed very inspiring to see that in a society with such strong traditional views, especially for the elderly, one can put aside tradition in order to find something that truly makes them happy. Want to host a Japanese game show on MTV? Have you ever been scared of someone following you?